What Are the Best Bathroom Faucets? Delta designs and manufactures a variety of faucets for the kitchen and bathroom. The faucet’s valve attaches to the water supply pipes in the shower. Inside the valve is a cartridge that controls the water flow and temperature. Although Delta offers a variety of styles to choose from, each Delta shower assembly uses only one of three cartridge types. The cartridge is located in the shower handle. Delta's trademarked technologies include the TempAssure and Monitor features. TempAssure adjusts water mixtures automatically to maintain the chosen temperature. The Monitor feature maintains consistent water pressure to adjust for sudden increases or decreases from the hot and cold water supply lines. Among the variety of shower handles, only a few cartridges are manufactured that work with each trademarked technology. The cartridges work with Delta’s single control handle valves and trims. Each item is purchased separately. 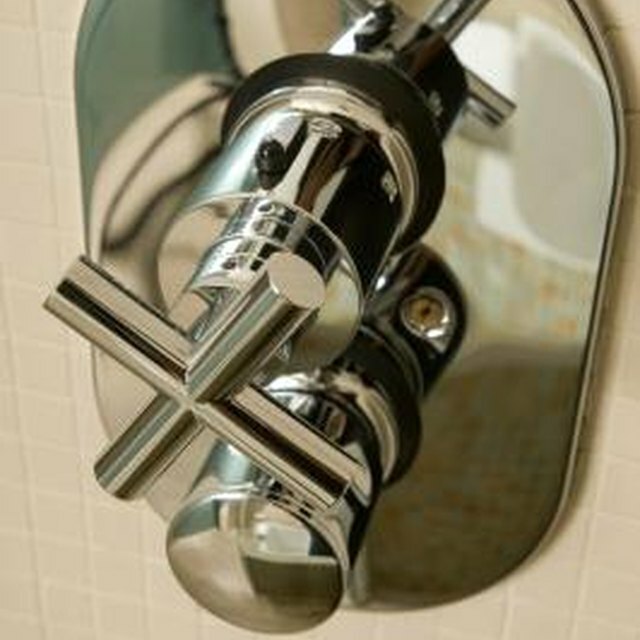 Many shower trims use the MultiChoice universal valve that works with all three types of cartridges. Each cartridge works with one or several series 13, 14, 17 and 17T shower assemblies. The single-function, pressure-balanced valve works for all 13 and 14 series shower assemblies. The cartridge regulates water temperatures from the water supply lines. The temperature will not increase more than 36 degrees Fahrenheit due to increases in water pressure or temperature changes in the water supply. The 13 and 14 series shower assemblies have one handle that turns to increase or decrease the water temperature. The dual-function cartridge allows the user to control the water volume and temperature. As with the single-function valve, the temperature will not increase more than 36 degrees. The 17 series shower assemblies have two handles to control pressure and water temperature. The thermostatic cartridge also has dual functions. It monitors the water temperature and automatically adjusts the water supply mixture to maintain the water temperature. The thermostatic cartridge fits all 17T series shower assemblies. All of the cartridges come with a limited lifetime warranty on defects in workmanship. The warranty is only applicable if the purchaser owns the home where the faucet is installed. The valve body that the cartridge is installed in also has a limited lifetime warranty. Several cartridges are also available for discontinued Delta shower control models from the manufacturer and are still covered under the lifetime warranty. Discontinued cartridges are also available online but are not covered by Delta's warranty.